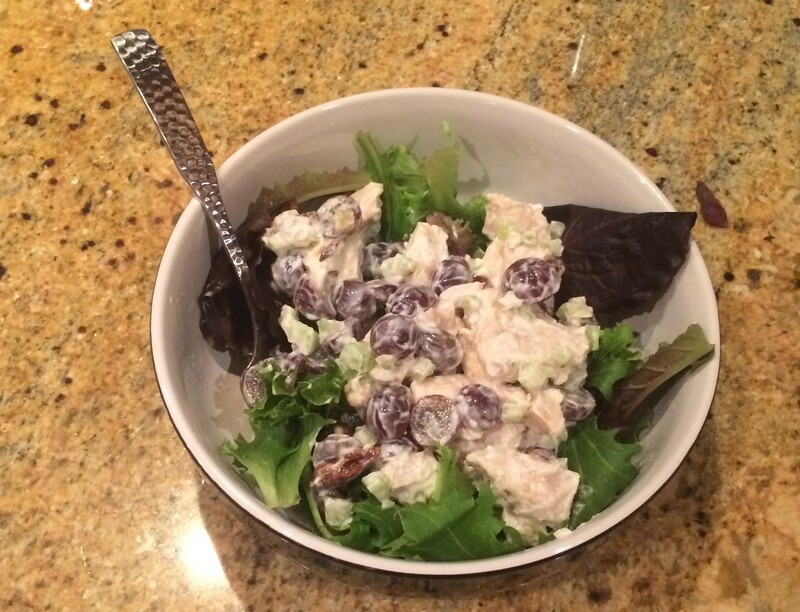 An all time classic for lunch is chicken salad. But who wants to eat chicken loaded with mayonnaise to ruin their gym session with such a fatty salad? 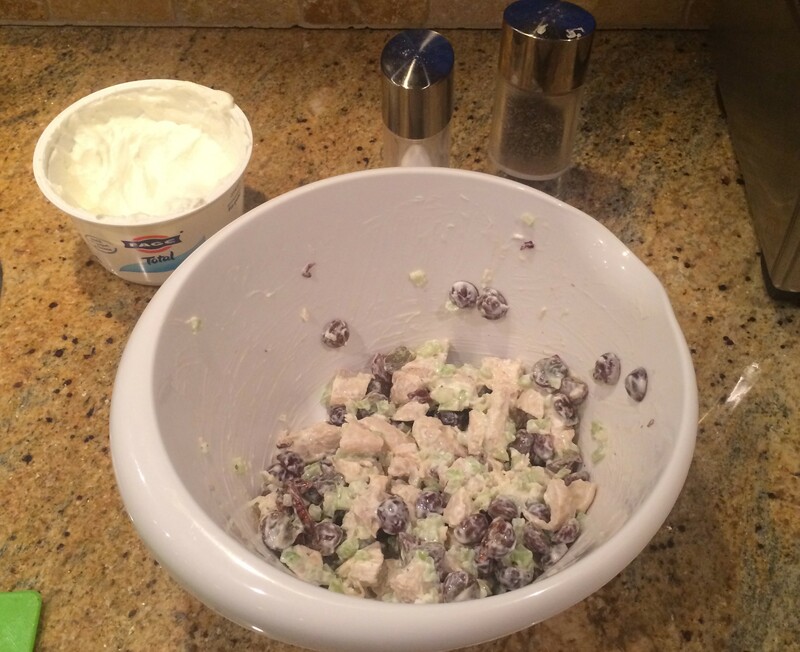 Luckily, I found an alternative and a great chicken salad recipe that will keep you guilt-free. I’ve never cooked chicken before; I’ve always thought touching raw meat was too icky. But there’s a first time for everything and with chicken being one of the only meats I eat, it’s about time to learn how. 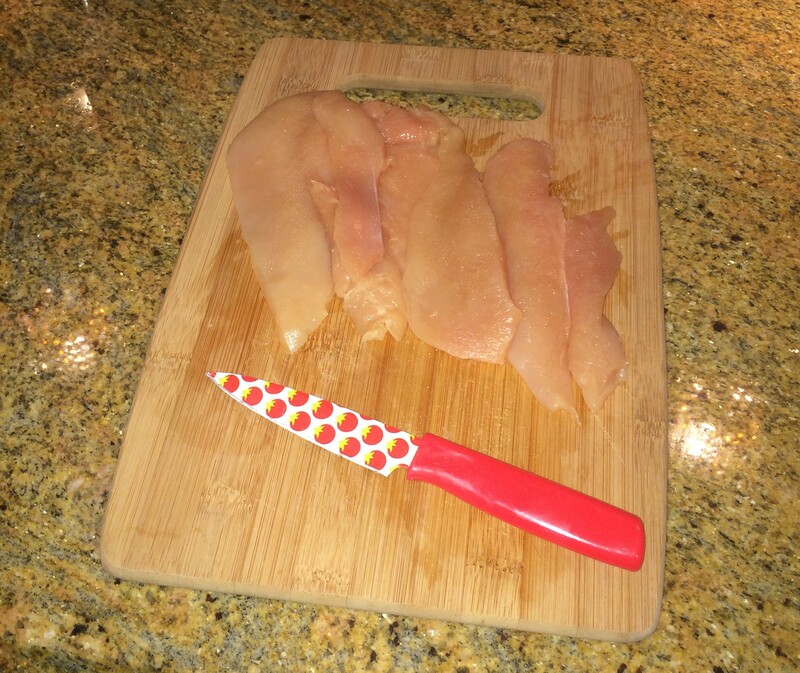 I started with Tyson skinless, boneless chicken breasts and began cutting the fat from around the edges. While cutting, I had a large pot of water boiling and added a few shakes of salt before adding the chicken and letting it boil for about fifteen minutes. Next, I halved a cup of red seedless grapes and chopped up a stalk of celery. When the chicken finished boiling, I let it cool before chopping it into generous bite size pieces and putting it in the fridge to cool. 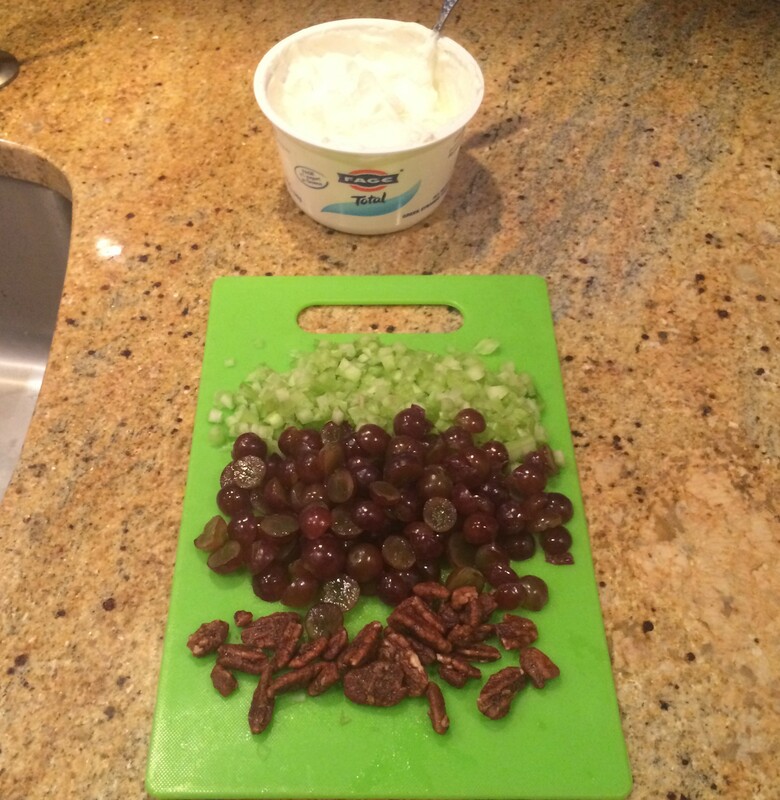 I combined about 4 tablespoons of plain Greek yogurt with the grapes, celery, and chicken and topped with candied pecans. I served mine over a bed of organic spring mix. I would also recommend leaving out the pecans and putting it all in a wrap. One of my new favorite guilt-free lunches! 1. Bring a large pot of water to boil and add salt before adding your chicken breasts to boil about 15 minutes and let cool. 2. Halve seedless red grapes and chop celery and chicken once cooled. Combine all with Greek yogurt, add salt and pepper as desired. 3. Serve over bed of mixed greens and top with candied pecans.